The votes are in: Ted Cruz is the winner of the Republican caucus in Iowa. Cruz had been lagging in the polls in the weeks before the contest, but he came from behind in the 11th hour and ended up on top of Donald Cruz, Marco Rubio, and the rest of the Republican field in Iowa. It's a night of celebration for the Texas senator — but this one tweet explains why winning the Iowa caucuses isn't always what it's cracked up to be, and why Cruz might want to temper his expectations. To be sure, nobody could have predicted such a big victory for Cruz, except perhaps Cruz himself, nine months ago. When he announced his campaign in March, just about nobody gave him a chance of being a serious contender in the race, owing to his extremism and penchant for infuriating everybody around him. But things changed drastically over the course of the next several months, and by the time the Iowa caucuses rolled around, Cruz had surged into second place in the polls. 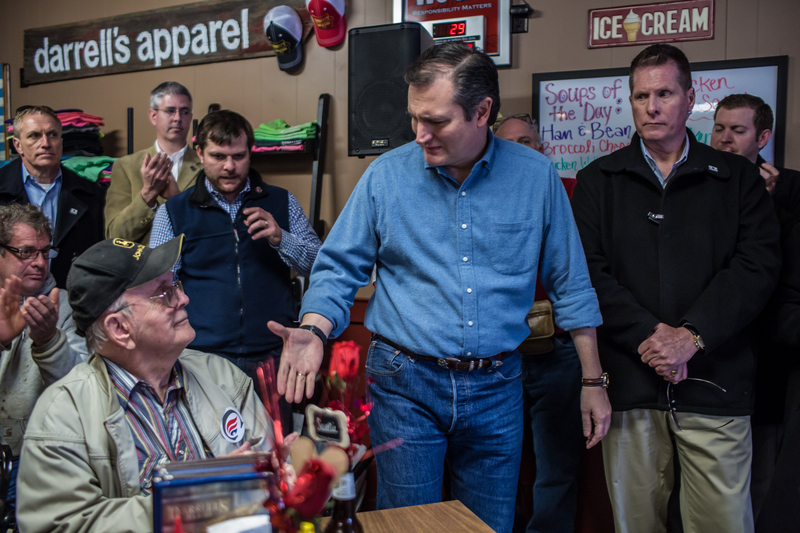 Second place became first place on Monday as Cruz eked out a win in Iowa. This was a big victory for his campaign, which would have been in rough shape if he'd lost Iowa. But he shouldn't start writing his acceptance speech for the nomination just yet. The former Michigan congressman makes a crucial point. All things told, the Iowa caucuses haven't done a great job of predicting Republican presidents. Since 1980, there have been six Iowa Republican caucuses when there wasn't already a Republican in the White House. Out of those six times, only twice has the winner of the Iowa caucuses gone on to win the GOP nomination. Those two winners were Bob Dole in 1996 and George W. Bush in 2000. Needless to say, only one of those two actually ended up in the White House. From a statistical standpoint, then, winning in Iowa doesn't give you a great shot at becoming the next Republican nominee, let alone the next commander-in-chief. This isn't to say that Cruz should be unhappy with tonight's results. But despite the gobs of attention the Iowa caucuses receive from the media, he certainly shouldn't count his chickens before they hatch. Lastly, it's worth noting that in two years since 1980, a Republican has won the Iowa caucuses, lost the nomination, and then gone on to win the party's nomination eight years later. George H.W. Bush won in Iowa in 1980, lost the nomination to Ronald Reagan, and then became the nominee in 1988. That same year, Bob Dole won the Iowa caucuses, and would go on to win the nomination in 1996. To put it differently: Ted Cruz's win in Iowa makes him just as likely to become the 2024 Republican nominee as the 2016 nominee. That little piece of historical knowledge probably isn't on Cruz's mind tonight, though. If patience was his strong suit, he probably wouldn't have run for president midway into his first term as a U.S. senator.